Our regular drop in craft sessions with a nature or environmental theme will be taking place over half term and we will be making Withy Lanterns! 10.00am - 12.00 noon & then 1.00pm - 3.00pm. Doors will closed between 12.00noon & 1.00pm. Our regular drop in craft sessions with a nature or environmental theme will be taking place during this half term. 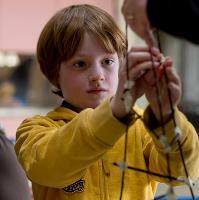 In this session we will be making Withy Lanterns from flexible willow to light up the winter evenings! This is a very popular activity and so we advise you to get here early. Morning sessions are usually quieter than the afternoons. There is no need to book, just come along! We may get a little messy, so come dressed with that in mind!